While the game does have some fans, Mass Effect: Andromeda is generally regarded as a disappointment. 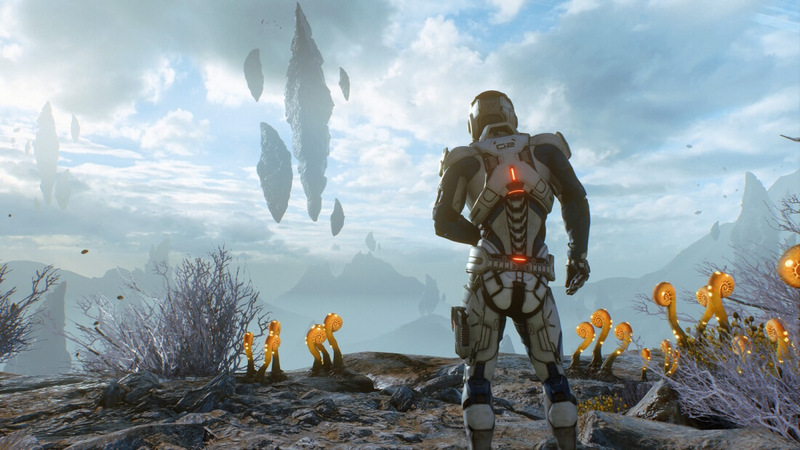 Anticipation for BioWare's title reached huge levels in the months before its release, but arrived to mostly average reviews and so many technical problems that the company was forced to announce a series of patches. So, what went wrong? Kotaku's Jason Schreier says the problems are the result of its troubled five-year development. His feature on Andromeda’s production is extensive and worth reading, covering the many issues it faced during production. Interestingly, the plan was for Andromeda to use procedural generation to create a galaxy populated with hundreds of worlds. One developer described the vision as “No Man’s Sky with BioWare graphics and story.” Technical challenges meant the game never ended up going in this direction, but the idea was in place right until the end of 2015. EA’s Frostbite engine was also a thorn in dev team’s side. While powerful, it was designed for first-person shooters like Battlefield and wasn’t capable of handling some basic RPG functions, such as parties and inventory management. The 2014 departure of Casey Hudson, an executive producer on the original Mass Effect trilogy, had a massive impact on the production of the game. Director Gérard Lehiany, who had been leading the story team, also left not long after, causing more disruption. The biggest revelation is that “almost every” developer Schreier spoke to said the majority of Andromeda was developed during its final 18 months - though some employees dispute this. "It really wasn’t until Mac Walters came on board—and that was very much a reaction to the state of the critical path—he was really brought on board to give it direction and get it into shape,” one said. "Before that it was quite rudderless." Ultimately, it seems that in an attempt to surpass what is arguably the greatest game trilogy of all time, BioWare bit off more than it could chew. Sadly, the lukewarm reception means the franchise has now been put on hold.